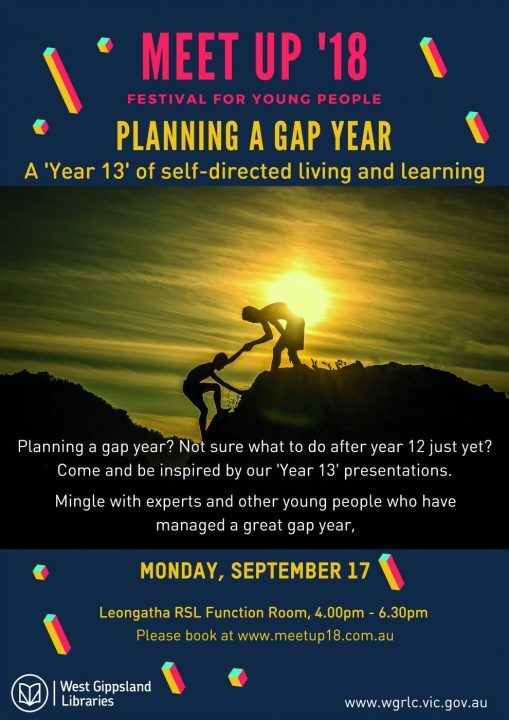 Planning Your Gap Year is a free event to bring students, their friends and parents/guardians with people to talk about gap year opportunities and to speak with people currently doing a planned gap year. Work, travel, Camp USA, AFL and local business programs are covered by guest speakers, with plenty of time for one on one discussion after. What’s out there, and how to get into it. Parents/guardians and students from all year levels encouraged to come. A Free program brought to you by West Gippsland Libraries.